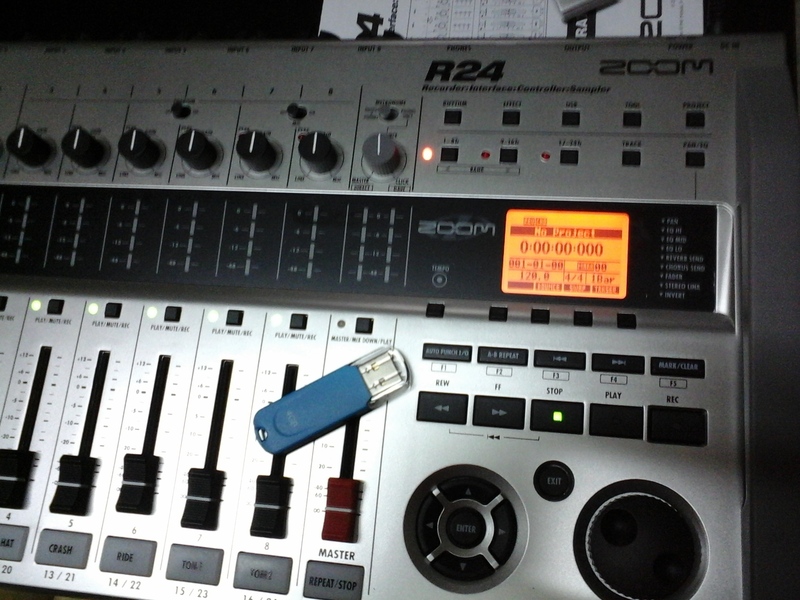 R24, Digital Multrack-studio from Zoom. 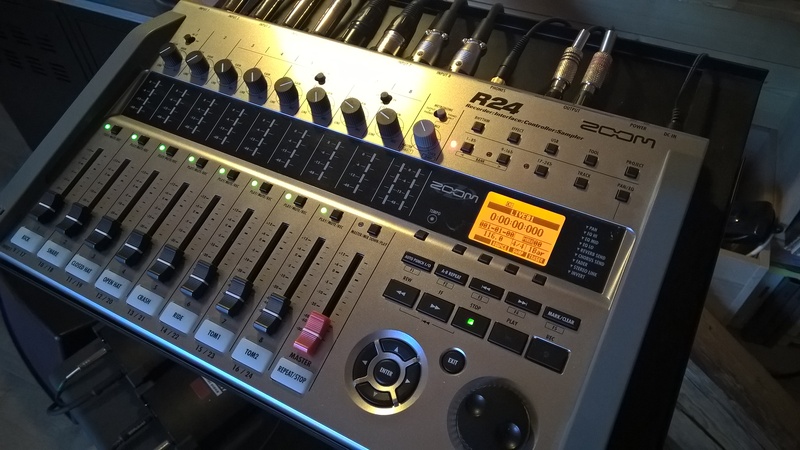 mrjason's review"Portable and lots of effects"
The Zoom R24 is a digital multi-track recorder costing fewer than 500 dollars. The thing that stands out the most to me about it is that it comes stocked with over 100 different effects right out of the box. That is almost unheard of for a multi-track recorder in this price range. It has some guitar amp models/replicas that you probably would pay a fortune for if you purchased them alone in the VST format. Setting up the R24 is very simple, and it is overall easy to use. It is an 8 in and 2 out device that connects to your computer via USB. It works great with Cubase and Logic on both Mac computers and Windows systems. You can record up to 8 tracks simultaneously and play back up to 24 tracks simultaneously which is just enough as long as you are not using this recorder to run a big session. This recorder is small and compact, and it comes with some great features for it to be as little and affordable as it is. You can run it through a wall power outlet or you can run it from batteries which are really convenient making it really portable. It records in WAV format which is decent, but it would be nice if it did have a few other options just for demo purposes. After purchasing this you will need to get some sort of a travel case or travel bag for it so you do not damage it. I have heard many people say that if you drop this one time, it is pretty much over with. I purchased a bag for it under 50 dollars which was a good buy. 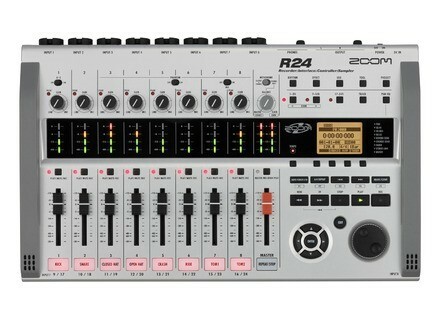 I have also used the Zoom R16 model which is very similar to this one except it only has 16 tracks on it. If you don’t need 16 or 24 they also have a Zoom R8 that is very affordable. 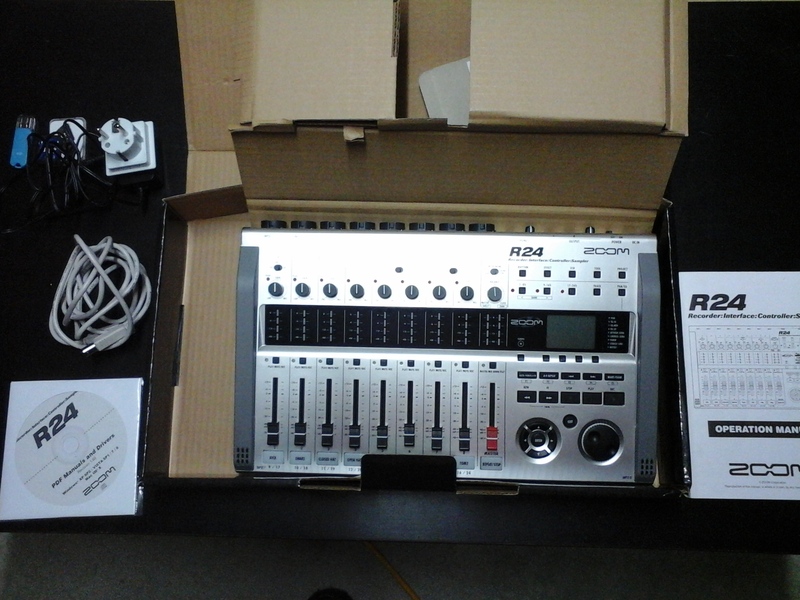 jjdin's review (This content has been automatically translated from French)" good"
rominet83's review (This content has been automatically translated from French)" A small mobile workstation"
for my taste, too isolated and too well done (plastic shell, faders, pots). I love the integrated Mackie Control. The driver is quite stable even if he has a latency of 10ms. I use it as sound card in my secondary system, the first being based on the ESP1010. elebeault's review (This content has been automatically translated from French)" All in one, right away!" I use it with or without my laptop (hp core 2 duo 7350, on the move or at home. 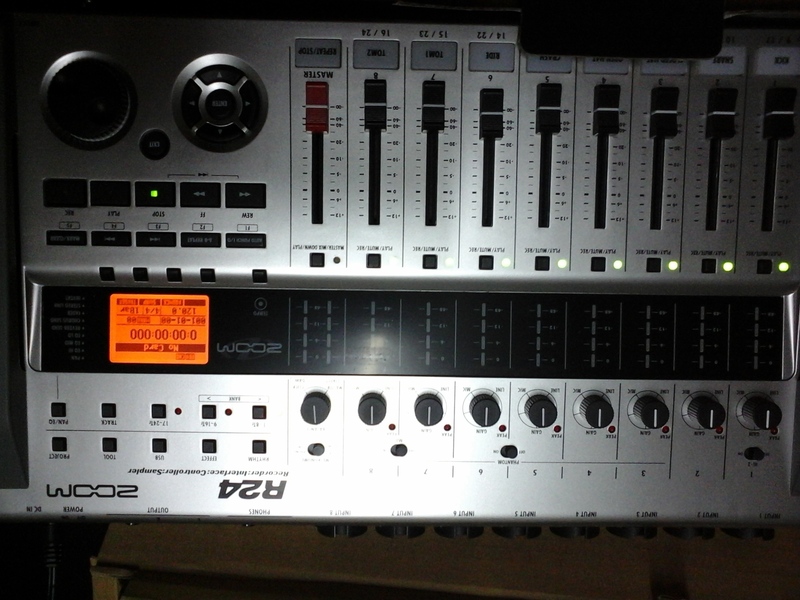 I spend directly on his side to the recording console, a happiness! It's very convenient not to be enslaved to a fixed installation. Eg go to a room where you repeat and back, recover files on the software in a standard format for rework. 8 inputs eases the work of the catch, was not to disconnect each time the track you want to save. Against the passage by 9 to 16 requires a bit of attention. But it's like for all devices, when everything is focused! But I appreciate that the file format is standard, that can easily recover the audio of each track for the work under other programs or music videos. For the latency I am unable to get an accurate picture. Insofar as the audio files are used in software is a problem that's hard to soft for me. Of course I use cubase lignt that comes with. Do not miss a step in the installation for the specific format zoom appear in the software. In terms of ZOOM, you have to know the little buttons that move in the trees. A little learning is required as to all! I am delighted to be switched to digital, on sd card. the side I like Swiss Army knife. The rhythm patterns are for me an aid to decision making, a way for me that does not follow drummer say that's how I want the accompaniment. Management ditto samples: one is glad to have the function when it is needed. A board do not count on the internal effects of registration, except in the case of using console (and yet we must know the editing - which is possible). The best is to succeed it is made up of micro instrument. It's like photoshop it is easier to work on a good quality photo! I do not regret my purchase, it was that or wait 10 years to have the means for the better. The - avoid jacks: I got stuck jacks (thankfully under warranty). Certainly they have a problem with their provider in combo jack ZOOM! 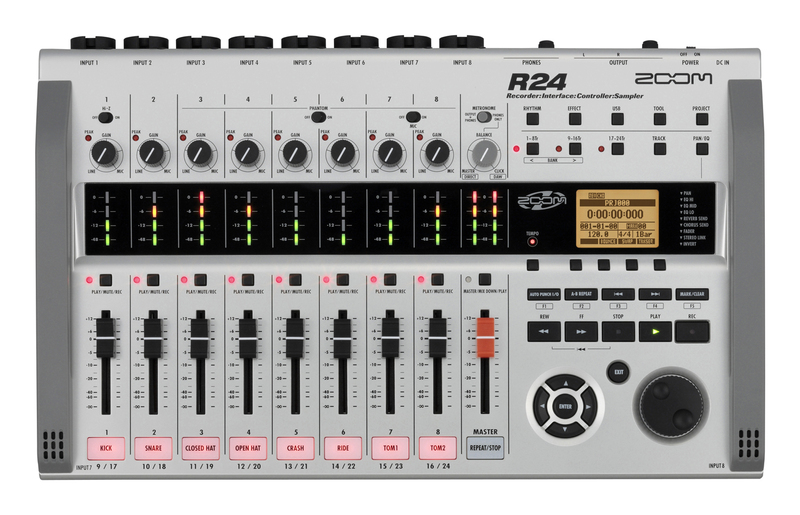 Zoom takes its R16 and charges it with a sampler and drum machine, 8 additional recording tracks and 6 channels of phantom-power on the new R24.